Along with New Year’s resolutions, Dry January and Movember, Veganuary has gradually made it’s way into the mainstream seasonal trends of the western world, during which we attempt to make a difference to ourselves inside and out. The idea of Veganism has essentially been around for over 2000 years but has become much more mainstream in the recent years. Incredible statistics from 2017 state that the demand for Vegan and vegetarian food has increased by near 1000% (yes that one thousand quoted from Just Eat). People in the Uk are eating 50% less beef, taking us to this year where “2019 will be its biggest year yet” when Veganism goes mainstream. It has certainly come a long way. So do I just make sure I don’t eat anything derived from an animal? Well basically yes…However starting out could seem a little daunting with the overwhelming options now available. 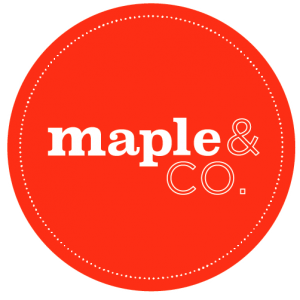 Here at Maple, we’ve teamed up with the experts to put together a little Top 5 Do’s and Don’ts. If you’re keen to give this month – or even the next a go, take a quick read below. 1. Don’t just go for the junk food. I think it’s safe to say, just because it’s Vegan doesn’t mean it’s “healthy”. With the rise in demand for vegan products, companies have strived to create alternatives to look and taste similar to meat and dairy. However, in order to do this usually means in numerous chemicals, stabilisers and artificial sweeteners needing to be used to achieve this. I mean chips are great, but you wouldn’t want to have them for every meal? 2. Start simple. It’s all about the whole foods. Don’t over complicate things! All the wonderful recipes and foods we know originate from whole foods and that still doesn’t change. What are whole foods? Foods in their most natural forms with as little processing as possible. The beautiful thing about trying to go vegan is that you’re forced to eat more fruit, vegetables and legumes. And why is that good? because you’ll be absorbing all the essential vitamins, minerals, fibre without the excess calories to keep your gut healthy. So don’t worry if you see all these fancy vegan alternative recipes, simple and easy is always a good way to start. 3. You can veganise anything. One thing a lot of people say when they convert is that they’re afraid they’ll miss their favourite meat or dairy dish. Fear not! You can actually veganise ANYTHING. There is a wealth of ways now you can make vegan alternatives of recipes from pulled jackfruit (instead of pulled pork) and brownies to mushroom burgers and spaghetti bolognese. It’s a great chance to be creative with cooking. 4. There’s protein in everything. The key is variety. Another thing people, especially athletes or fitness enthusiasts, worry about is achieving their protein goals. Sources such as soy beans (tofu, tempeh, edamame) and quinoa are complete protein sources, which mean they contain all the essential 9 amino acids that the body does not create themselves but must obtain from food. Whilst sources such as lentils, rice, chickpeas and nuts are incomplete and simply need to be mixed and eaten together. The key is variety…which really applies to all foods. 5. Eating out? Call ahead to double check. Although more and more restaurants are incorporating vegan options in their menus before you can say veg, there’s never any harm in calling up and double checking before dinner plans. There may not be vegan options on their website but many restaurants are more than happy to create special dishes if you call ahead and give them a little warning. Now everyone’s a winner. Next Post Meet Nancy. Vegan model, beauty and food writer.